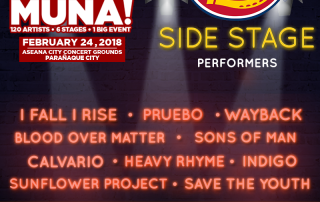 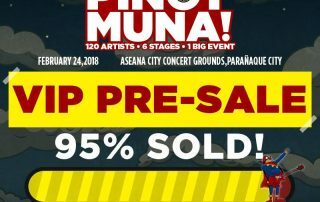 RAKRAKAN FESTIVAL 2018: PINOY MUNA VIP PRE-SALE 95% SOLD! 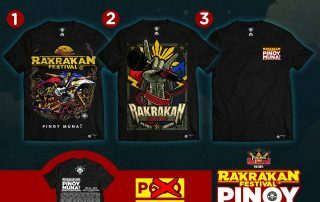 Who said that you can't have a date in Rakrakan Festival? 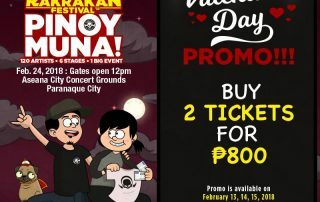 Here's our Valentine's Day Promo! 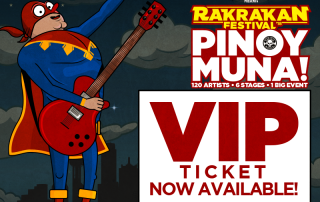 Buy two tickets for P800 only! 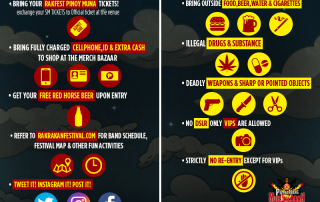 You can now invite your partner! 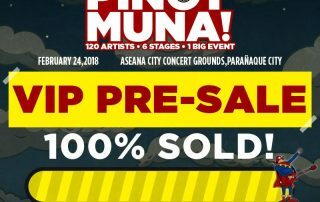 Go to the nearest SM Tickets to avail this promo. 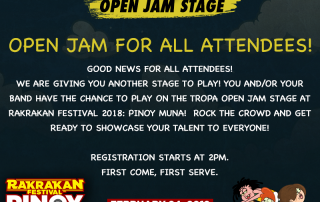 Happening today until February 15, 2018.